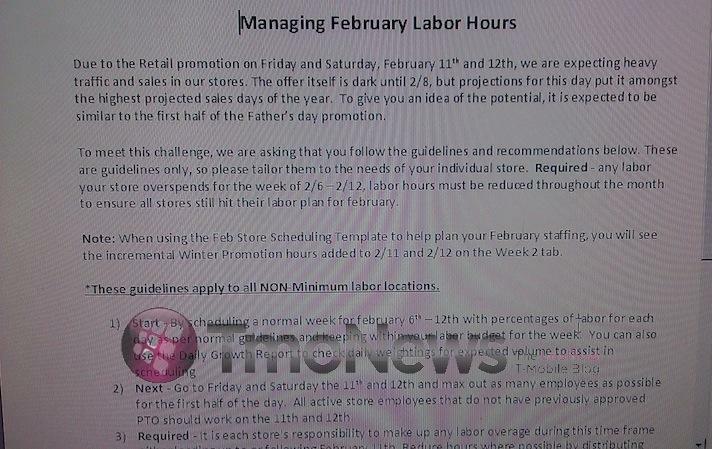 T-Mobile is planning a huge sale on February 11th and 12th to kick off the new year, TmoNews learned today. According to a memo sent to T-Mo retail stores, "it is expected to be similar to the first half of the Father's day promotion," which reportedly reeled in over 100,000 new customer contracts last year. Little else can be confirmed about the sale until more information is provided on February 8th, but we can be sure that it will be a knockout because each store is being told to "max out as many employees as possible for the first half of the day." Curiously, the big sale goes live 2 days before MWC, where we expect to see a flood of mobile related announcements and product launches - clearly, T-Mobile is having the fire sale before it's too late. At this point, all we can do is wait for more information to be released on exactly what deals and sales will be going on. This means that you, T-Mobile customers out there, need to check back February 8th to find out if getting up early on Friday or Saturday to wait in line will be worth losing your sleep over.